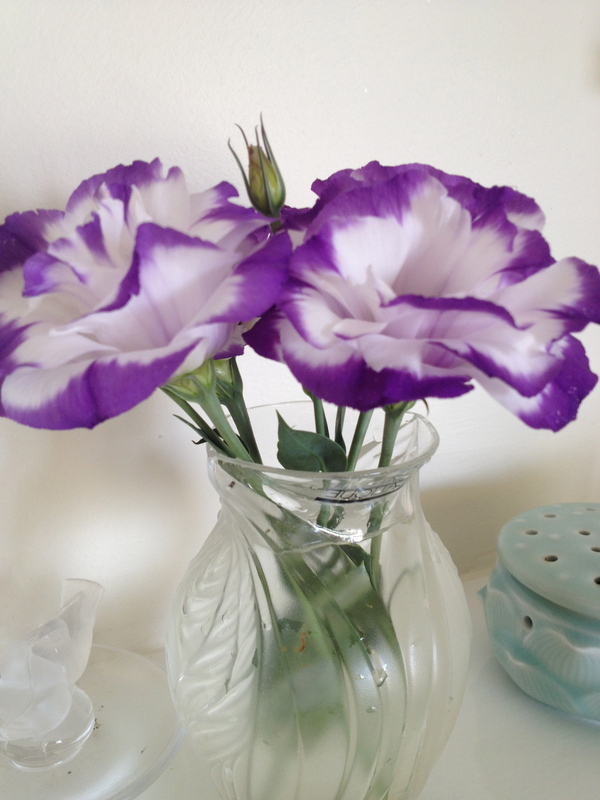 One of the great pleasures of having a flourishing garden is being able to regularly pick bunches of flowers for inside. It means I can enjoy aspects of the garden just as much when I am in the Convent – but without the guilt of feeling I’ve stripped the garden of its beauty. 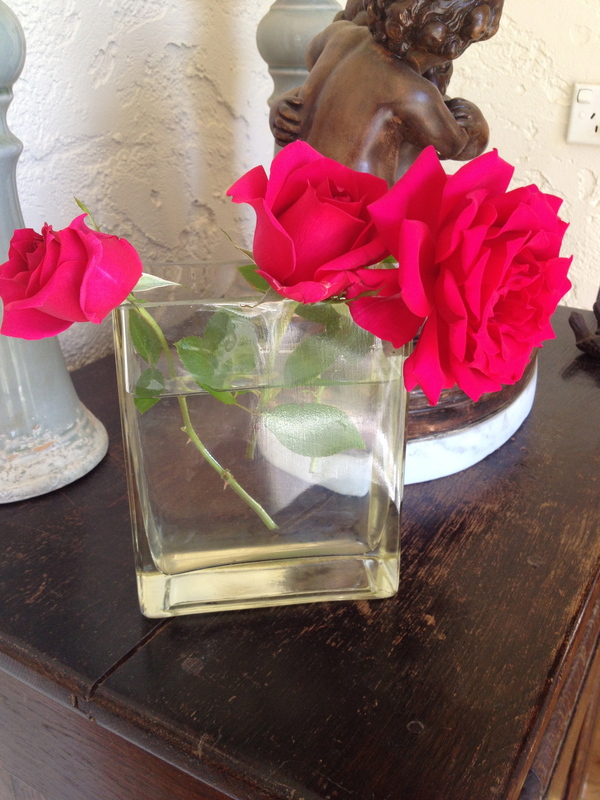 Fresh flowers are such a treat and every few days I freshen up a few vases. 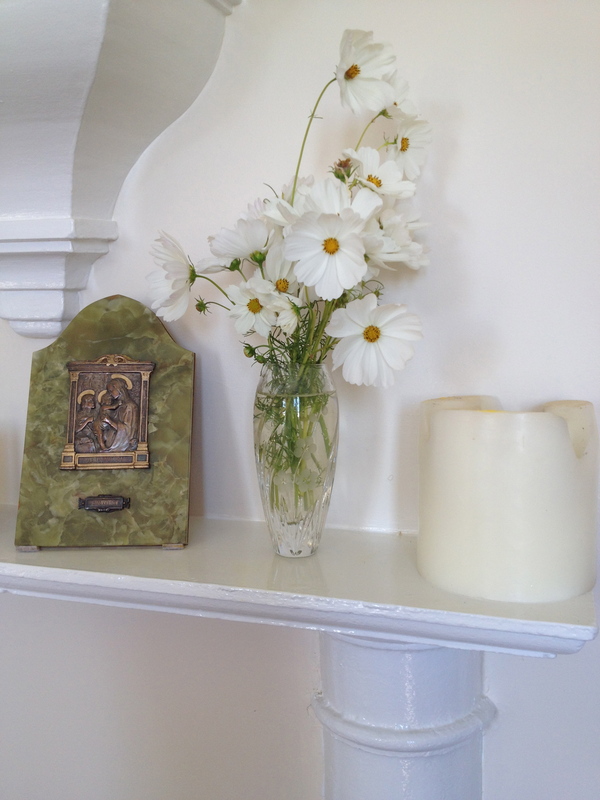 I’m not quite at the picking baskets of flowers stage, and some of my vases are small, but it still seems a luxury and pleasure. Once the roses are established, they should contribute generously, although I haven’t planted specific cut rose varieties. 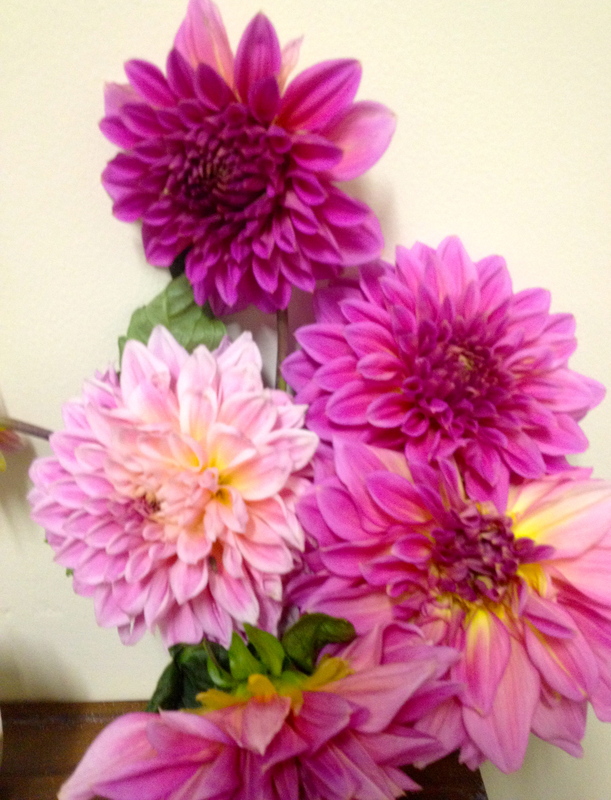 The dahlia’s are a delight and picking them just encourages more flowers. It also highlights the garden changes during the seasons as I’ve moved from the agapanthas to the Tansy in one bed, now roses and dahlias, with the bulbs providing a totally different opportunity. One of the side benefits is the excuse to collect some lovely vases for displaying the arrangements (not that I can “arrange”)!